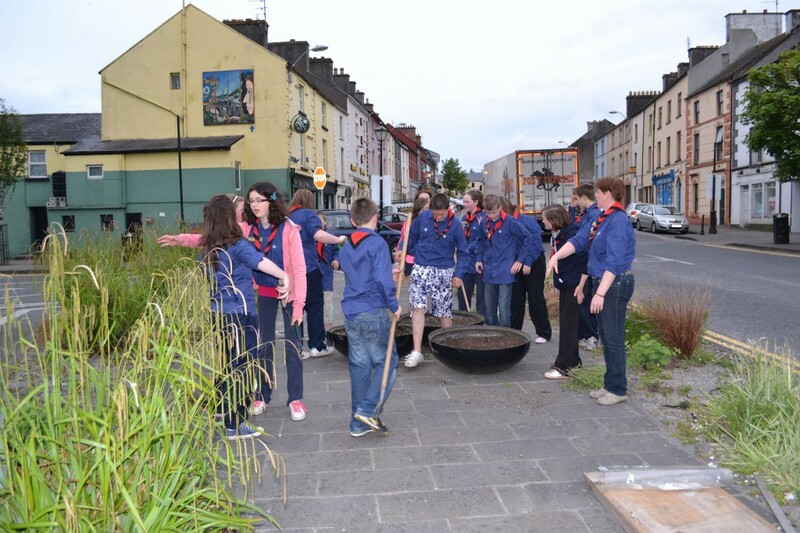 In the summer of 2012, Swinford Scouts began the Swinford roundabout revamp. Swinford Tidy Towns would like to say a huge thank you to the Swinford Scouts and their leaders Yvonne Irwin, Reneta Nolan, Lisa Walsh, Breege Mc Hugh Brian Dunlevey and Michelle Howie for all the planting at the roundabout. 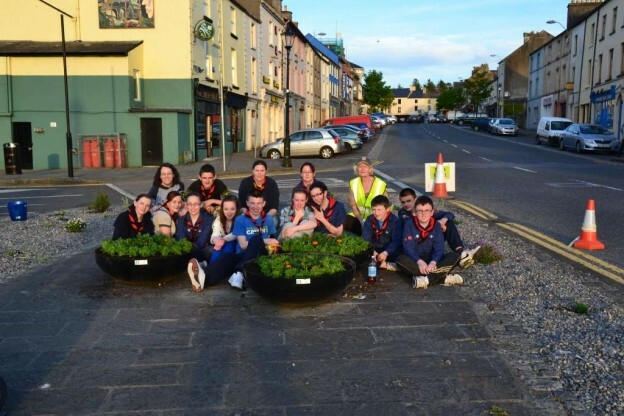 24th Mayo Swinford Scouts undertook the project again this year of planting and weeding the flowerbed at the roundabout at lower Main Street. The project was held up by about 5 weeks due to the poor weather conditions. With this fine weather we now have, it should give a good boost to the plants and flowers. Hopefully they should be in full bloom for when the adjudicators from the National Tidy Towns competition arrive in Swinford for the 2013 judging. Thanks to the tidy towns committee members Rodney, Kevin, Douglas and Declan for all their help with the project. Thanks also to Miriam Mc Dermott, horticulturist with Connacht Gold Swinford for all her advice and guidance, and to Connacht Gold Swinford for sponsoring all the plants and bedding. Below is a slideshow of photos from this time last year when the Scouts started the project, there is some change!